For thousands of years pilgrims have traveled to sacred sites to take the waters from healing springs. These great odysseys were not only undertaken to seek physical healing but were for spiritual nourishment too. My first pilgrimage was to Assisi over 23 years ago. The miracle I found there was that my whole family healed from a huge trauma. Since then I have visited some of the world’s most holy shrines and springs to collect samples of their sacred waters. Permission was asked from the guardians of each shrine before a ritual took place and the waters were bottled for safe keeping. Dr Luc Montagnier, the Nobel prize virologist, proved that water has memory and that high dilutions, as in homoeopathic preparations, are “not nothing” but that they are “water structures that contain the original molecules”. With this technology it is possible to bring together 12 of the most highly esteemed and effective healing waters, from the farthest reaches of the earth, into one preparation. Each water sample was prepared following strict homoeopathic guidelines to produce the mother tinctures and potencies used in the Healing Well spray. Now you too can experience the power of famous healing waters from around the world all in the convenience of a spray without leaving the comfort of your own home. Use the Healing Well spray to lift the vibration of any space, even your car. It can be sprayed to clear an area before meditation or healing takes place or it can also be sprayed directly onto the face or body for personal cleansing, healing and protection. This spray is especially beneficial for use in sick rooms. 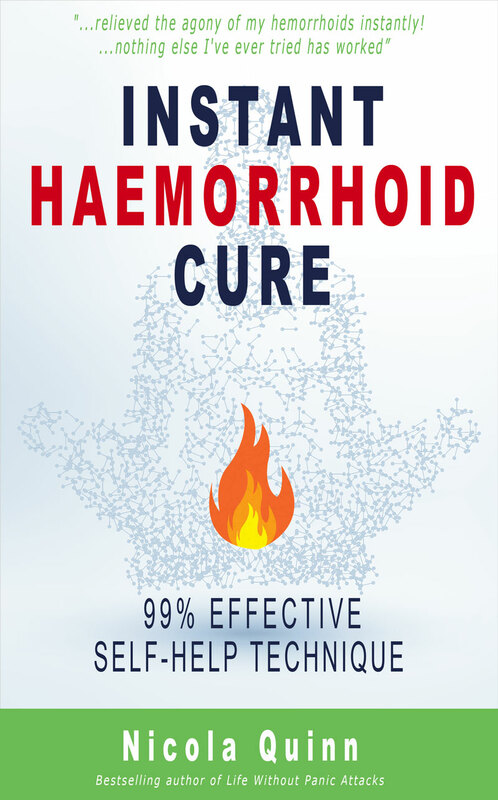 Although the Healing Well spray is meant for external use only, as mentioned previously, it was created within homoeopathic guidelines which means the product is safe. It is still not recommended to consume this spray directly, but you should not be concerned if a little gets in your mouth as it is prepared with pure spring water. Once you have dispensed the spray however you require you can expect to feel energised, balanced, clear headed and focused, uplifted, calmed, and healed. 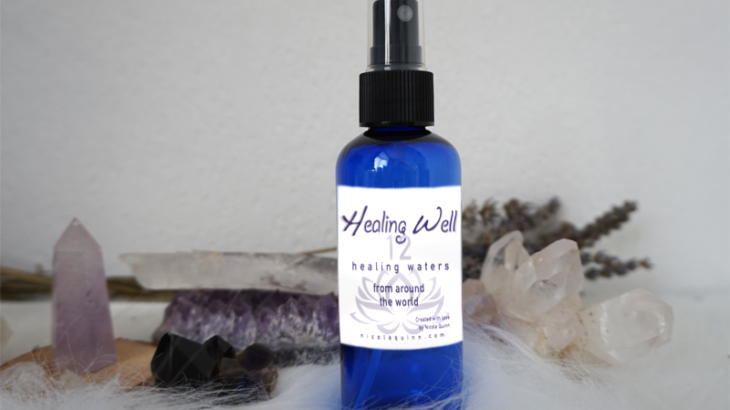 After using The Healing Well spray you may even feel euphoric and primed for deep meditation. The Chalice Well, Glastonbury, England. The Chalice Well can be found at the foot of Glastonbury Tor in Somerset, England. Legend has it that the Chalice Well marks the site where Joseph of Arimathea placed the chalice that had caught the drops of Christ’s blood at the Crucifixion, giving rise to the idea of the existence of the Holy Grail. Archaeological evidence suggests that the Chalice Well has been in almost constant use for at least two thousand years. The Well produces 250,000 imperial gallons (1,100,000 litres) per day and has never failed, even during drought. More than 10,000 people a day sometimes come to visit Jesus Chahin’s well in the little town of Tlacote, Mexico, to take away some of the famous miracle water which is said to have cured everything from AIDS and cancer to obesity and high cholesterol. Chahin has been giving the water away since he accidentally discovered its healing properties by observing its swift healing effect on a farm dog who lapped up some of it. Wayne Peterson of Washington DC reported that his father had been diagnosed with intestinal cancer, which had eaten holes through his intestines. His father took some of the water from the Tlacote well for several days. A visit to a new group of doctors only days later showed there was no evidence of cancer and all body functions appeared to be normal. Chahin has kept scrupulous medical records, and cures of diabetes, high blood pressure, glaucoma, arthritis and many other ailments are well-documented. In addition, the water has increased the productivity of the ranch. Plants and trees bear extra crops, an unusual occurrence for an area with a cool climate. According to a CBS report, ‘Up to the Minute’ (KENS-TV, Aug. 5, 1993), the water was found to be 44 grams lighter than conventional water, measured in kilograms per liter. In Nadana village, about 150 km north of Delhi, India, water began gushing out of a deserted tubewell in September of 1992. Some local villagers who bathed in the water reported that the “medicinal” and “magical” qualities of the well cured their skin diseases. Word quickly spread, and now a constant stream of people visits the village daily to gain the benefits of the water. A five-year-old polio victim was reportedly cured to a large extent after bathing there. Others report the curing of skin diseases. Most people who go into the water report physical improvements of some type. The owner of the well, Mr Mamraj, one of the village leaders, has vowed to keep the well open and freely available for the people. In 1992, Mrs. Theo Tommes of Nordenau, Germany was investigating an abandoned slate mine, seeking a place to store wine for the family hotel business. When she entered the cave she was amazed to see it was illumined by a brilliant white light with small crosses of light within the glow. Experts were invited to study the phenomenon, and they not only recorded a high level of energy in the cave, but noticed in addition a spring with remarkably pure water. Two German labs analyzed the water and found it to be 8 percent lighter than ordinary water. And strangely, water at the spring spirals to the left, but five meters further on it spirals to the right. When a young servant girl named Bernadette Soubirous claimed to see a radiant vision of a woman in white on February 11, 1858, Lourdes was a small market town virtually unknown to the larger world. Over the next five months the lady would appear 17 more times to Bernadette, visions that the Roman Catholic Church would eventually declare were authentic appearances of the Virgin Mary. St Mary’s Well is tucked into the outer west wall of a small chapel and is reached across a small tree-lined field. For centuries St Mary’s has been believed to cure whooping cough, sore eyes and joint diseases. It is also suggested that the white witch, Dame Aliset used the well water to cure a fairy child. The superbly atmospheric spot is also very uplifting for the soul. Sancreed Holy Well pre-dates Christianity though traditional rituals and reverence did not diminish in the Christian world. Pilgrims seeking healing would come here, perform bathing rituals and tie a rag torn from their clothing to nearby trees (called clouties). The theory is that as the (natural fibre) cloth rots, the ailment ebbs away. The Spa treatment was claimed to cure, or relieve a huge number of disorders, examples being ‘stiffness of tendons’, ‘rigidity of the joints’, ‘the effects of gout and rheumatism and various paralytic conditions’. The Spa water is a mild laxative which is one reason why the water was drunk. Montecatini lies 50km northeast of Florence in the beautiful province of Tuscany. The art nouveau spa complex is famous for its hydrotherapy, mud baths and mud packs which are renowned for relieving digestive disorders, liver and urinary complaints and gynaecological problems. The White Spring, Glastonbury, England. The White Spring can be found in a Victorian built well house at the foot of Glastonbury Tor. It is an incredibly sacred space filled with healing pools and the sound of perpetually flowing water. St. Madron Holy Well, England. St. Madron Holy Well, is a Cornish Celtic sacred site and is a ground level natural spring. The well is said to have healing properties and a 17th-century written account tells how, before 1641, John Trelille, a poor cripple, was cured here when he bathed in the water, then slept on a grassy hillock. The hillock was remade every year and was called St Maderne’s bed. Basilica of St. Francis of Assisi, Italy. The basilica is one of the most important places of Christian pilgrimage in Italy. According to Christian tradition, in 1224 St. Francis received the stigmata during the apparition of Seraphic angels in a religious ecstasy making him the first recorded person in Christian history to bear the wounds of Christ’s Passion. St Francis had a special relationship with animals and was known to be able to quieten flocks of birds and even a wolf that had been terrorising a town. It is said that on his deathbed St. Francis thanked his donkey for carrying and assisting him throughout his life, and that his donkey wept. You can now feel the benefit from the healing powers of these springs in this Healing Well remedy, enabling you to use this collective energy to feel healed and spiritually awoken. The strength of the world is in your hands, share it and allow yourself to be well. Leamington spa – Des Blenkinsopp and licensed for reuse under this Creative Commons Licence. Energy Healing, Health, Meditation energy, Energy Healing, healing, healing spring, healing water, holy water, sacred water. permalink.